Our email marketing is permission based. If you received a mailing from us, our records indicate that (a) you have expressly shared this address for the purpose of receiving information in the future (“opt-in”), or (b) you have registered or purchased or otherwise have an existing relationship with us. We respect your time and attention by controlling the frequency of our mailings. If you believe you have received unwanted, unsolicited email sent via this system or purporting to be sent via this system, please forward a copy of that email with your comments to bill@bigsummit.biz for review. Each email sent contains an easy, automated way for you to cease receiving email from us, or to change your expressed interests. If you wish to do this, simply follow the Unsubscribe links at the end of any email. This policy was created on March 2012. 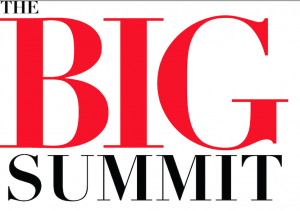 The Inaugural BIG Summit Miami brings together audiences of visionaries, business titans, entrepreneurs, media, business, and community leaders to a day of game-changing BIG ideas and disruptive technologies for propelling business forward. The outstanding lineup of global business leaders will discuss some of the most challenging and important issues of business, education, and entertainment in today's ever-changing environment. Attendees will gain insight into how best to utilize the rapidly advancing world of technology to gain a competitive edge. Next Galaxy Corporation is a content solutions and technology company developing fully immersive virtual reality experiences, applications and tools for education, entertainment and enterprise. Next Galaxy's flagship application CEEK - is an entertainment and educational hub for accessing VR content and experiences.